Displaying personal photos and mementos adds warmth to your home and gives it a unique personality. The warm look of richly colored wood will enhance any décor in your home or office. Constructed of a high-quality MDF with wood veneer printed paper wrapping, the frames have the look and feel of real wood but are more durable and stand up better to changes in temperature and humidity.Choose a single or bundle pack from the Icona Bay Regency Collection. Options include popular 4x6 and 5x7 snapshot sizes, and 8x10 and 11x14 for larger photos. All frames include attached hardware for wall mounting, either horizontally or vertically. The 4x6, 5x7 and 8x10 sizes also come with an adjustable kickstand fin on the back, to set on a tabletop, desk, or shelf.Get mixed sizes to create a photo gallery grouping in a hallway or along a staircase. Or set frames on a photo ledge, accent table, or piano top. 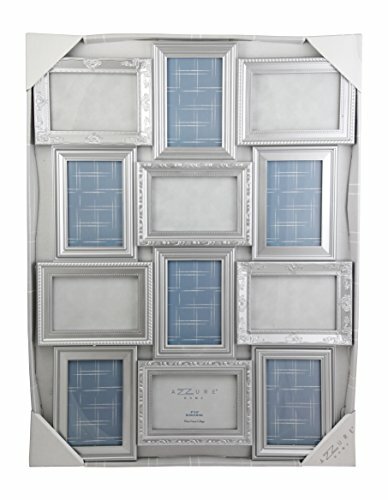 You can also add awards and certificates, or souvenirs such as ticket stubs, programs, and postcards, and children’s artwork.This set of Icona Bay Regency frames is a thoughtful gift for any occasion. This gorgeous photo frame is a gorgeous accompaniment to any home or office, to easily and in style remember those closest to you. Displaying personal photos and mementos adds warmth and give your home a unique personality. Constructed of a high-quality PS resin with a classic lustrous finish, these frames will enhance any décor in your home or office.Choose a single or bundle pack from the Icona Bay Elegante Collection. Options include popular 4x6 and 5x7 snapshot sizes, and 8x10 and 11x14 for larger photos. All frames include attached hardware for wall mounting, either horizontally or vertically. The 4x6, 5x7 and 8x10 sizes also come with an adjustable kickstand fin on the back, to set on a tabletop, desk, or shelf.Get mixed sizes to create a photo gallery grouping in a hallway or along a staircase. Or set frames on a photo ledge, accent table, or piano top. 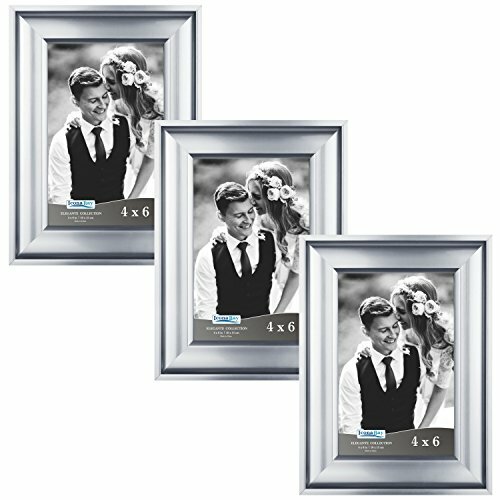 You can also add awards and certificates, or souvenirs such as ticket stubs, programs, and postcards, and children’s artwork.This set of Icona Bay Elegante frames is a thoughtful gift for Wedding, Anniversary, Christmas, best friend birthday, grandma, Mother’s Day, Valentines, baby shower, family collage, or Father’s Day. 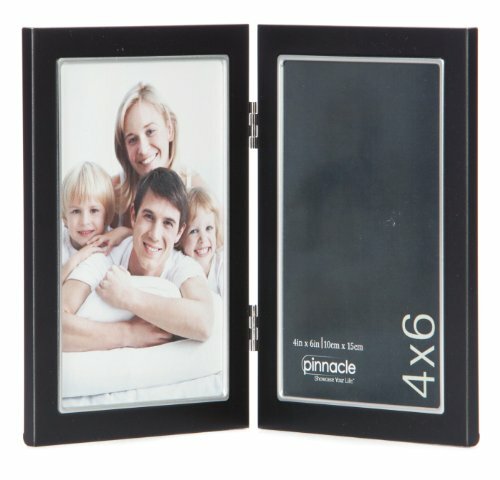 Pinnacle Metal 4x6 Double Black and Silver Hinged Picture FrameAdd a touch of elegance to your décor with a timeless Pinnacle Metal 4x6 Double Black and Silver Hinged Picture Frame. 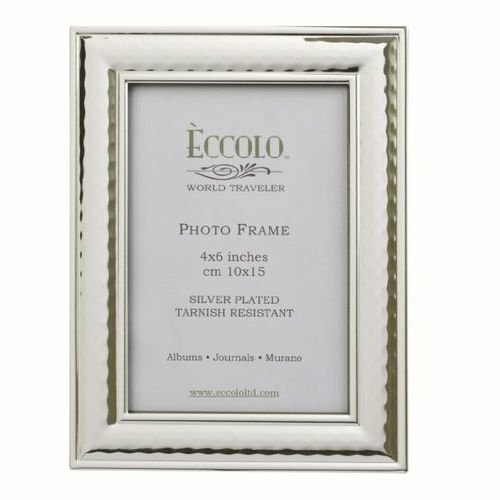 This sleek metal frame has a black finish with silver inner lining.It's joined with two hinges and stands vertically to showcase your most cherished photos on a mantel, desk, shelf or just about anywhere in your space, beautifully.The flocked backing slides easily to insert photos. 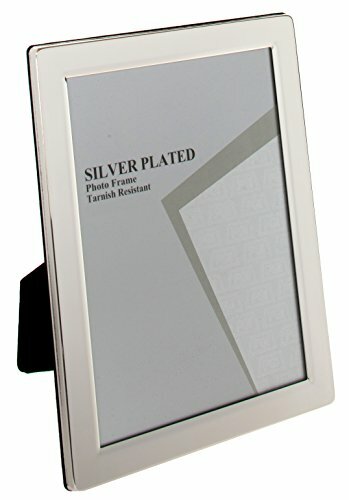 It's minimalist yet upscale look make it a perfect addition to any decor, even in the office.Makes an excellent gift for a wedding, housewarming, anniversary, and so much more.Our Pinnacle Metal 4x6 Double Black and Silver Hinged Picture Frame holds two 4 inch x 6 inch images. This quality photo frame is a gorgeous accompaniment to any home or office, to remember those closest to you. This quality triple photo frame is a gorgeous accompaniment to any home or office, to remember those closest to you. 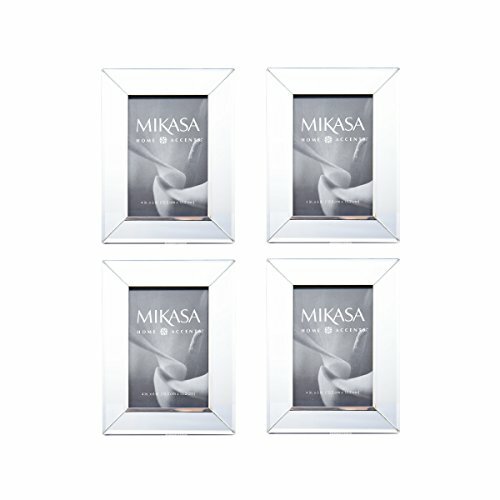 This Mikasa set of 4 4 x 6 mirror frames is an attractive way to draw attention to your favorite photo. The frame has a beautiful mirror finish that will add dimension to any room of your home. Constructed of plastic. Set of 4 frames, each measures 8 x 6 inches and hold a 4 x 6 inch photo. Gorgeous polished silver plate finish with delicate beading around the outside edge. This frame is constructed with heavy gauge steel and is made with quality in mind. 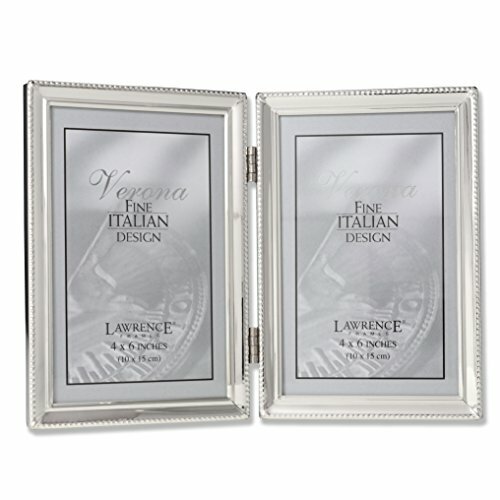 Frame is fitted with beautiful black velvet backing, and is individually boxed. 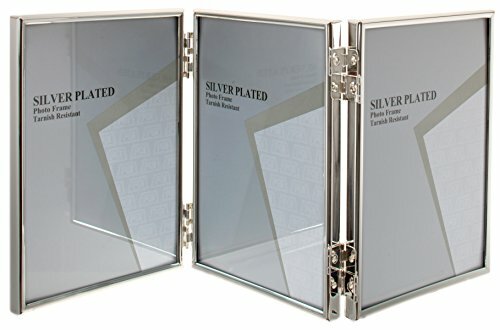 Our top selling silver-plate frame collection is hand polished and guaranteed tarnish resistant. Beautifully finished backs and gift boxes help create a gift you'll be proud to give. Part of our World Traveler Collection, these frames combine value and style. Great for corporate gifts, wedding presents and every occasion in between. Complimenting Eccolo’s luxurious Made in Italy products, the World Traveler collection brings exciting finds from around the world to you. Using local techniques, World Traveler products keep with Eccolo’s belief in importing only the highest quality merchandise. By using our sourcing expertise and our oversea offices we can continue to share quality products and fine workmanship from around the world. Eccolo is a family owned business based in Brooklyn, New York. 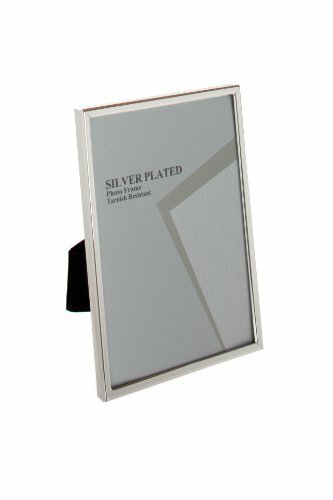 Copyright © Wholesalion.com 2019 - The Best Prices On 6 Silver Photo Frame Online.